Sweet sustainability – fair comes first! More and more people are making a conscious decision to buy products with the Fairtrade traidmark, and this also applies to confectionery. Since 2011, Riegelein has been at the forefront of fairly traded seasonal chocolate products. Riegelein was the first company in the confectionery industry to completely adapt its entire German product line of hand-decorated confectionery to Fairtrade standards. It has also been part of the new Fairtrade Cocoa Program from the very beginning. In 2014, Confiserie Riegelein became the first confectionery supplier to offer seasonal chocolate products with the Fairtrade Cocoa Program trademark. Our commitment is to offer our customers a product that is grown and produced in an ecological and socially responsible manner. This is our heartfelt Passion. Back in 2011, Riegelein was the first company in the seasonal chocolate sector to adapt its entire range to comply with Fairtrade standards. Because all possible ingredients in the recipe – cocoa, cane sugar and vanilla extract – are Fairtrade-certified, all of Riegelein’s hand-decorated confectionery products in Germany carry the Fairtrade trademarkark. Example of this includ it´s Santa Claus figures and the range of sweet Easter items. 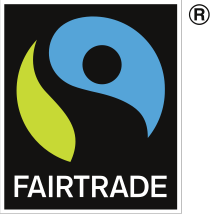 The Fairtrade trademark is an independently controlled product certificate for fair trade. In order to use the Fairtrade Mark, products must be made using fairly traded ingredients wherever available. In the case of our chocolate, this means cocoa, cane sugar and vanilla extract. As a company, we embrace our social and ethical responsibility for the environment and are deeply committed to the values of fair trade, such as respect, cross-border solidarity and transparency. Fixed minimum prices for product procurement provide security and long-term development prospects for farmers in developing countries. 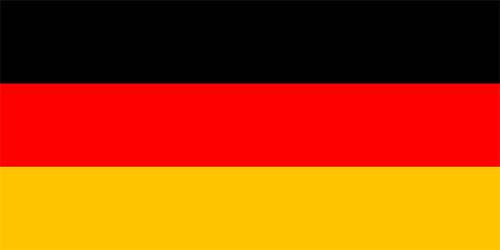 This ensures the sustainable support and improvement of their working and living conditions. Through the payment of the additional Fairtrade Premium, which is used by the producers themselves to fund community Projects and health, education and environmental protection are also supported. Since 2014, Riegelein has been the first company in Germany to offer seasonal chocolate products that are part of the new Fairtrade Cocoa Program. It is extremely important to us to make a decisive contribution to sustainability and fair trade. The Fairtrade Cocoa Program is another key step in this direction. This means that the raw material cocoa is produced and traded under the established Fairtrade conditions to support small farmers and smallholder cooperatives. With the Fairtrade Cocoa Program, Fairtrade cocoa can be used as a single raw material across multiple products or for the entire production, thus allowing more cocoa farmers to benefit. This makes it easier for many manufacturers to use even more Fairtrade raw materials in the future. The new Fairtrade Cocoa Program presents the ideal complement to our existing Fairtrade product line, and enables us to continuously expand the distribution of Fairtrade products. For us, this cocoa initiative is a logical consequence and natural continuation of our fair-trade strategy. Confiserie Riegelein has therefore set a Goal to purchase cocoa through the Fairtrade Cocoa Program for its entire product Portfolio since 2017.